Storytelling is one of the most enduring and important magical traditions, yet it was represented the least in the twentieth-century revival of spiritual disciplines. In Magical Tales, R.J. Stewart deals in depth with the tradition of magical story-telling, found in various forms throughout the world. He shows how such tales are essential to psychic health and how, on a deeper level, they contain the keys to profound inner transformation. 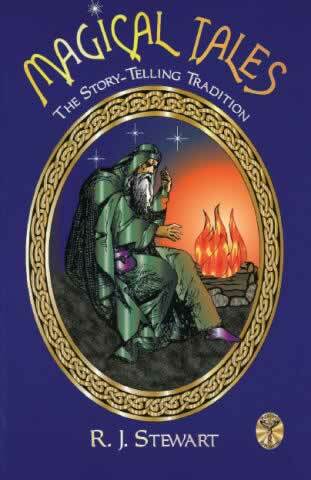 The book begins with a discussion of the traditional ancient roots of magical tales and epics. The author then moves on to suggest how this powerful imaginative process might be reinstated for the modern individual without attempting to mimic or falsely restore the lost oral traditions of past cultures. He also compares modern fantasy literature with genuine magical or spiritual tales and points out that a story is not magical simply because its author selected occult events and characters – magical tales are always embedded within spiritual traditions. By way of example, a series of original magical tales by the author is featured, with line drawings by Stuart Littlejohn. With this book the reader will learn many ways of working with magical stories, including visualisation, meditation and methods of using story-telling for personal development. This edition contains two new stories never before read.